Ham certified by the Jamón de Trevélez Regulation Council. Naturally cured with less than 4.5% salt content (very sweet). Ham on the bone with ID for traceability. Between 7 kg and 7.5 kg. Ham on the bone, with low salt content, cured for a minimum of 17 months. The only ingredients are pork leg and common sea salt. Our hams are made from Duroc, Landrace and Large White breeds, meaning that we obtain a wide selection of prime materials. The result is flavoursome meat with better marbling, that is naturally cured in the Alpujarra mountains, the biosphere reserve. 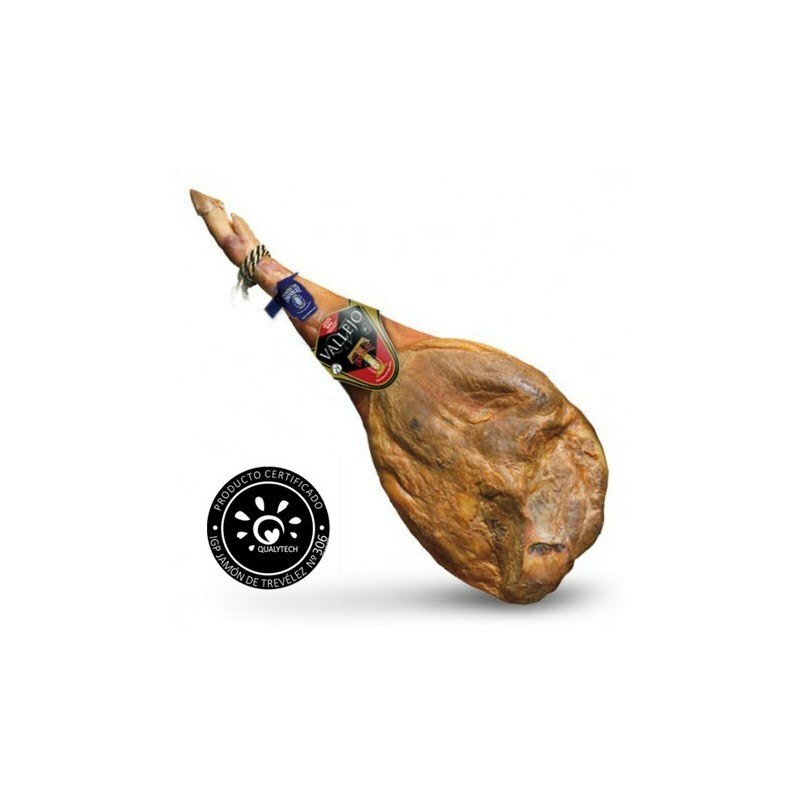 These hams are certified with a blue seal of guarantee, issued by the Jamón de Trevélez Regulation Council, following strict quality controls. The end result is a top-quality ham with an unmistakable aroma and flavour. Trevélez Selección has selected a range of hams so that you can take your pick of the best. Average fat Average with high marbling probability 1.5 cm -2.5 cm approx. Eat within 30/45 days once opened.